Work for Salesforce Health Cloud? i'm trying a new bussines, so i run to google in search of software that allow me to sell products (health care products), managing all my bussines from one place. and i found it!, the best thing about salesforce health care is the really well done tutorial whe you open your trial, they know that you must know how to use their software to be able to sell properly and be successfull. Another thing that i really like it is that my main language is not english, but spanish and i live in Venezuela, and what they do?, they translate the tool to spanish and set up my local currency, how brilliant is that? At the begining can feel overwhelmed because the software is really extense and covers a lot, from potential customers to the stock. I actually get lose at the beginning and i dind't know what to do. maybe they need to simplify the software and show what i need stpe by step. 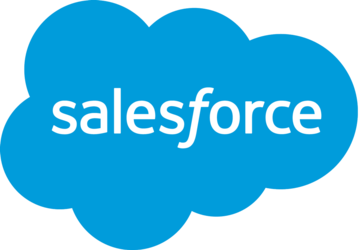 "Salesforce Health Cloud for Occupational Therapists"
I like how the platform never crashes. It's an efficient way to keep track of client notes. I wish there was a "copy from last note" feature. That would help to save time. It's a little bit over kill for the therapy industry, but the benefits are substantial. Salesforce Health Cloud is HIPPA compliant, which is very important for a healthcare provider. I have realized an added benefit is that the site never crashes. What Patient Relationship Management (PRM) solution do you use? Our organization has a concentrated effort to improve care coordination and they provide a platform that has improved that initiative. The ease of use and overall integration of information in a central location has helped us to become more efficient. Sometimes feels like there is almost too much information to navigate, but really comes down to their being more functionality available than what we are utilizaing. Occasionally runs slow, but not a frequent issue. Their full suite of products is robust. Be sure you utilize everything you are paying for to get the most value. Personally, their customer service is top notch. Received personal training on different modules that we were under utilizing. Improved care coordination across different departments. Easy to see and understand where a patient has been seen or could benefit from additional care. As always, the Salesforce platforms are very in depth and allow for integration with other vendors and third party applications. Salesforce support is also optimal. Do your research! Request a proof of concept prior to actually using this product. Business requires the need to track all health related transactions, files, etc. Ease of use and the portability to access the application anywhere. There are times that the application takes a longer time than usual to process inputs. Salesforce Health Cloud is a user friendly application which provides portability and efficient monitoring of leads. We used Salesforce to automate and streamline our processes. This also provided for more efficient monitoring and communication between transcontinental employees. Although it’s very detailed, hard to find certain items and reporting is not easy. It’s a lot of self training! You learn as you go. Benefits are that everything is housed together, receive daily report on new accounts. It was easy to understand and use. We were a small pilot group who started it and it wasn't complicated at all. How not all areas of mbr info can be changed once They are initially loaded. The ability to see my sales calls and follow up with referrals. It’s tough to navigate and make changes. Set up accounts from corporate instead of letting individuals do it. "Salesforce Health Cloud is a force multiplier"
I love how easy to use and intuitive the platform is. Too many features that don't add value, but I am paying for them. The platform is quite robust with many features and functionality., which comes at a hefty price. Make sure this aligns with your needs a goals as an EHR or provider. This has made client relationship management must simpler, and the insights allow result in targeted care. "Good idea needs better layout"
The layout is not intuitive or user friendly. It is very easy to use on a daily basis. It was used to share information for progress in different branches. There are too many options on the screen. It’s very hard to find what you’re looking for if you don’t know. It’s worth a try to see if it fits the office needs. It’s used for passing information along the various branches regarding meeting various goals. It is cloud based. This makes sharing cases and managing them easy. That it is cloud based; if your internet services are intermittent, then so is your access to the service. Be weary that internet services can interfere with use of the product. So a strong internet service infrastructure is highly recommended, even at small offices. One source for case tracking and management. It allows you to find people easily and mark them as working or not, etc. It also allows you to navigate through each page as quickly as needed. How many pages you need to go through to ensure you're are correct. Allows me to look at a personal background and evaluate if they would be a fit or not. "Salesforce is beautiful and easy to use"
I love the customization opportunities of Salesforce. The reports are also beautiful. Because it is internet based, the page you have open is only has current as the last time you refreshed. This can be quite an issue with mutiple users. It served as an effective way to house members’ PHI. The ability to search was fantastic. Salesforce has a lot of great functionality capabilities. Experience glitches in syncing with HubSpot. Able to track deal data in one spot. Learning about Salesforce Health Cloud? * We monitor all Salesforce Health Cloud reviews to prevent fraudulent reviews and keep review quality high. We do not post reviews by company employees or direct competitors. Validated reviews require the user to submit a screenshot of the product containing their user ID, in order to verify a user is an actual user of the product.